Home > Blog > What does it take to be a successful mortgage broker? What does it take to be a successful mortgage broker? The mortgage broker industry is, and always has been, competitive. There’s a lot to learn about different lenders, regulations, forms, etc. and occasionally it can be an uphill battle when things change just as you’re getting comfortable. If you feel like you’re walking a tightrope while trying to balance new business leads and processing mortgages, guess what? You’re not alone. Many others have faced the same issues as you and triumphed, and so can you. Amy Coburn, a mortgage broker at Real Mortgage Associates, has been in the finance industry for 25 years. She thrives on the constant change and being able to come up with solutions to make her clients’ lives easier. She had a rough start trying to build a client base and combatting the myth of what a broker does—clients often felt that people only go to brokers if the bank says no or that brokers charged fees. Her challenge was to educate clients that the brokers of today are not the brokers of the 80s and that there are more important things than rates. Christine Walker, mortgage agent at Mortgage Architects, became a broker in 2012. She enjoys helping people reach their goal of owning a home. Christine’s first six months as a broker in Canada were a struggle, even though she had processed mortgages at a bank in England for 18 years. She was determined to prove herself here, and through networking and hard work, she succeeded. Collin Bruce, a mortgage broker and franchise owner of Dominion Lending Centres, started brokering in 2006. Being a business owner was a challenge for him as it meant being in charge of marketing, payroll and taxes in addition to actually doing the mortgages. In his early days, Collin would go to work from 8 a.m. to 8 p.m. While his work-life balance has improved, he continues to learn new things all the time and never takes his business for granted. Craig Spicer, the senior mortgage consultant at Premiere Mortgage Centre, has been doing mortgages since 1997. He says that in this industry, perseverance is key. When Craig started out, he didn’t have any referral relationships and the biggest obstacle he faced was getting over the mindset of being in people’s faces and asking for business. He used to hope that the people he went to meet wouldn’t be there, so he wouldn’t have to talk to them. But with a little bit of time and desperation to earn, he got over it. Crystal Mamchur, a broker owner of Flare Mortgage Group, has been in the industry for over 15 years. She knew that she wanted to help people get into home ownership ever since she worked on her first mortgage at a bank. Crystal believes that it is important to set new brokers up for success. When she became a broker, her challenge was finding the right brokerage to join—she shopped around and interviewed a number of broker owners and team members before she chose one. David Skinner, mortgage broker at The Mortgage Group, has been a broker for 23 years. He was drawn to the freedom of working for himself. As one of the original CIBC Mortgage Specialists in Halifax, he had no one to learn from but himself. As such, he now strongly advocates sharing knowledge with both clients and other brokers. 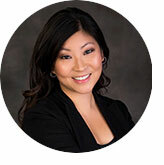 Diana Lee, the founder, owner and broker at The Mortgage Minds, has worked in the banking and mortgage industry for over 15 years. She believes that it is very important to have a good support system, especially when you’re new to the industry. Diana found that her mentors, peers and business development managers were valuable resources when she had questions. When Diana was early in her career, she learned the importance of managing her client database and taking advantage of every opportunity to stay connected. Gagan Gahunia, the founder of Mortgage Winners, has been in the business for about 13 years. He was drawn to the dynamic nature of the profession and loves that no situation is ever the same. Starting out at 25 years old, his age was both an obstacle and advantage at the same time. Clients would look at him and think that he was inexperienced because he was so young. However, as he didn’t have a family at the time, he was able to put in countless hours to improve his skillset and be a better mortgage broker. Gordon McCallum, the founder, president and CEO of First Foundation and an Edmonton mortgage broker, began working in the industry in 2002. He enjoys being able to make a difference and offer his clients real benefits. As he didn’t have a background in banking, early in his career, Gordon had trouble understanding the underwriting process and how to read a credit report. But through asking the right people the right questions, he was able to learn quickly. Karen Millington, residential mortgages manager at The Mortgage Centre has been in the industry for 25 years. For her, it’s not just a job, it’s a passion. In the beginning, her biggest challenge was learning the offerings of all the different lenders. For the first four years, she had a mortgage bible which was a binder of every lender’s information. When lenders started updating their websites with rates and information, it made life much easier for Karen. Her secret to success is talking to as many people as possible. Michael (Mike) Cameron, CEO and managing partner of Axiom Mortgage, started brokering in 1994. He always had an entrepreneurial spirit and was naturally drawn to the profession. In his current leadership role, he takes pride in watching his team grow. Throughout Mike’s career, there were many peaks and plateaus that scared him, but he strongly believed that everything would work out if he did the right things. Do you have any other tips for success? Share them in our comments section!